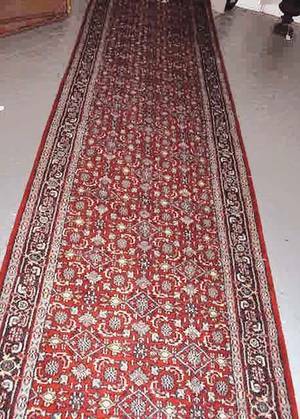 With diamond pattern on red ground. 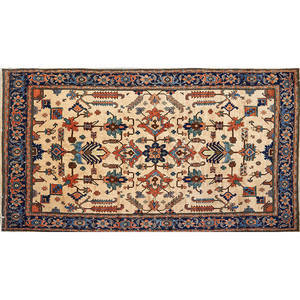 Uzbek kazak; contemporary hand-knotted wool rug, shades of blue, gold, and red, pakistan; 8" 10" x 11"
Persian qashqai; hand-knotted wool runner, vegetal pattern with roosters and birds, iran, ca. 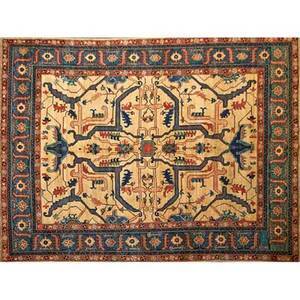 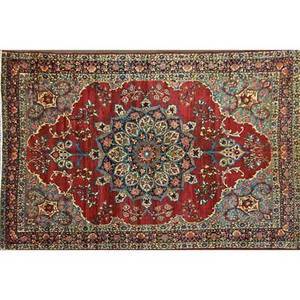 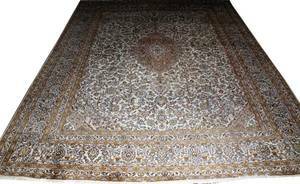 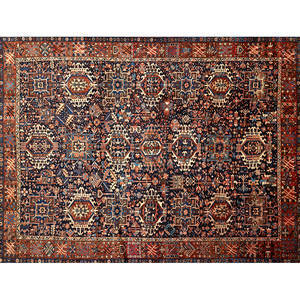 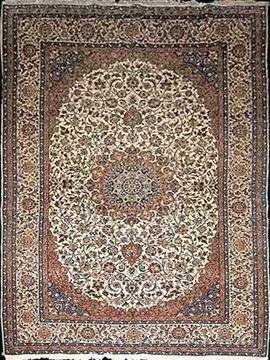 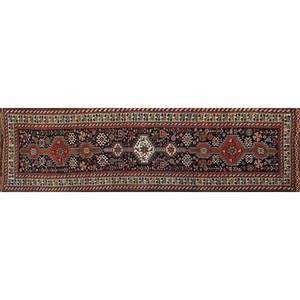 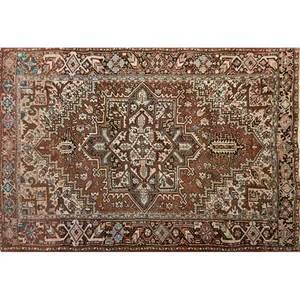 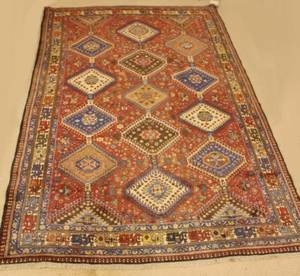 1940; unmarked; 12" 6" x 3" 10"
Persian heriz; hand-knotted wool carpet, geometric pattern in shades of mauve and brown, ca. 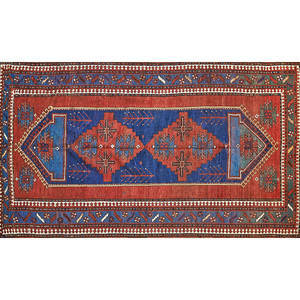 1970; unmarked; 8" 1" x 10" 1"